Pauline Hanson of Fridley got an unwelcome surprise when she and her husband recently tried to use a Vanilla Visa gift card. The $25 card had lost nearly half its value, because of monthly $2.50 service fees that started accruing when the card wasn’t used for seven months. This year’s crop of gift cards are a friendlier bunch, thanks to congressional reform of credit card practices in 2009. New federal rules went into effect in August that prevent “inactivity” fees from starting until a year has passed since the card was activated. The rules also mandate a five-year minimum lifespan for gift cards. Learn more about the new rules here. The changes followed numerous complaints from customers like Hanson who discovered that fees and expiration dates quickly eroded the value of gift cards. 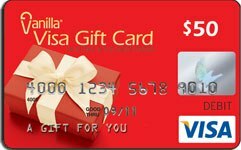 The terms for Vanilla Visa gift cards purchased after Aug. 22 have no inactivity fees at all. But in this post-reform era, financial institutions still find all sorts of creative ways to tack fees and charges onto their products. Whistleblower wants to know if you've encountered any unexpected costs or limitations when using gift cards. Just post a comment here or send me an email.